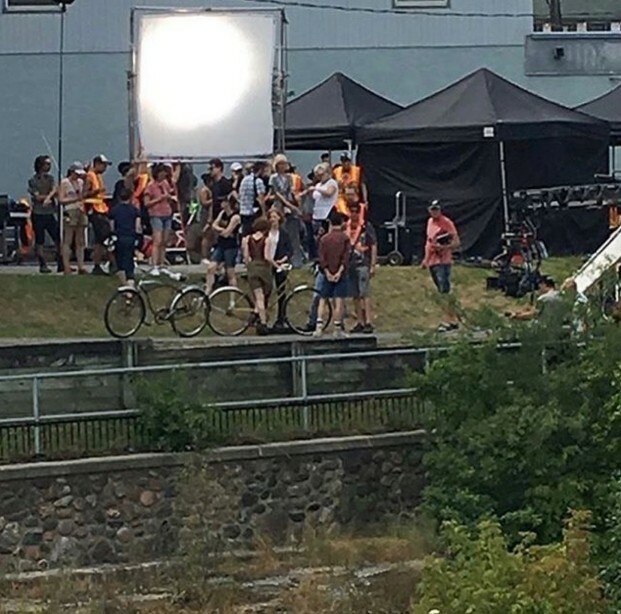 The Losers’ Club mingle with their adult counterparts in these newly-uncovered set photos from It: Chapter Two. 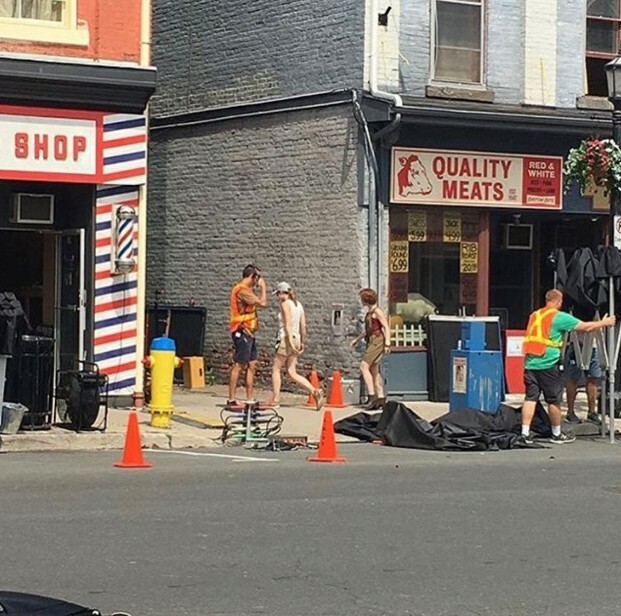 Production on New Line and Andy Muschietti’s wildly ambitious sequel is well underway, and the Internet has been combing over each and every set photo to draw comparisons between It‘s child cast and those big-name actors tasked with playing adult Losers – adult Losers who must return to the haunted town of Derry, Maine after a full 27 years to face a rejuvenated Pennywise. Such is the sprawling plot of Stephen King’s original horror tome, so it’s fair to say that New Line’s adaptation was always going to be an ambitious project from the get-go. 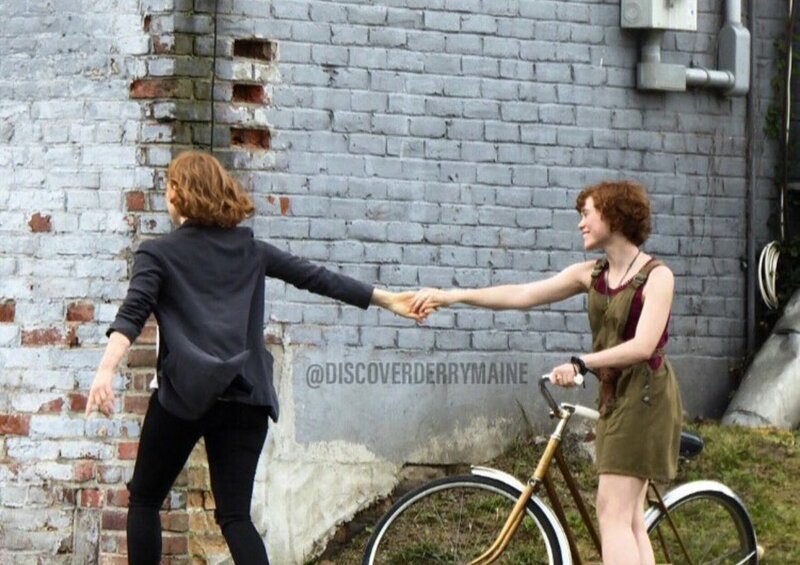 In order to transition between one generation and the next, Muschietti and his creative team plan to incorporate a series of flashbacks, and below you’ll see Sophia Lillis (Beverly) and Jaeden Lieberher (Bill) walking alongside what appears to be the outside of Bev’s home. Lean a little closer and you’ll notice that both Jessica Chastain and James McAvoy are located just out of shot, which tells us that adult Beverly and adult Bill are reminiscing as they brace for round two. 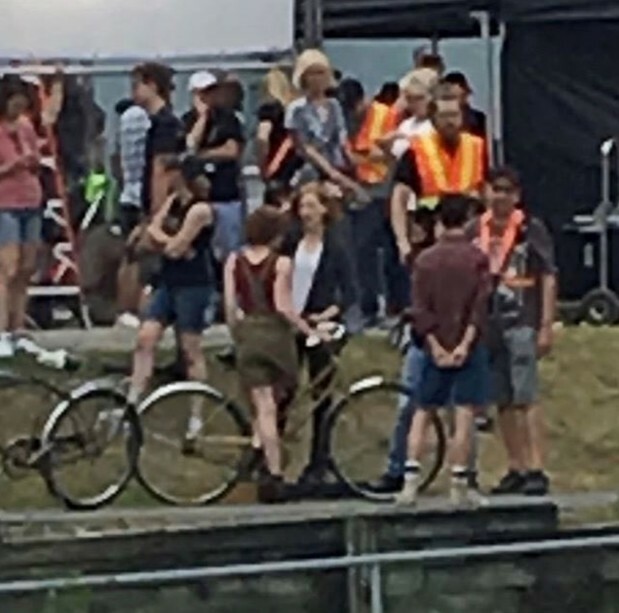 It appears Chastain and McAvoy’s respective characters are actually part of the scene, too, so perhaps Chapter Two‘s flashbacks will seamlessly transition between one era and the next. Pretty cool, no? Elsewhere on the casting docket we have Bill Hader as Richie Tozer, James Ransone as Eddie Kaspbrak, Andy Bean as Stanley Uris, Jay Ryan as Ben Hanscom and Isaiah Mustafa as Mike Hanlon. The only constant in this nightmarish equation is Bill Skarsgård’s Pennywise, Eater of Worlds. 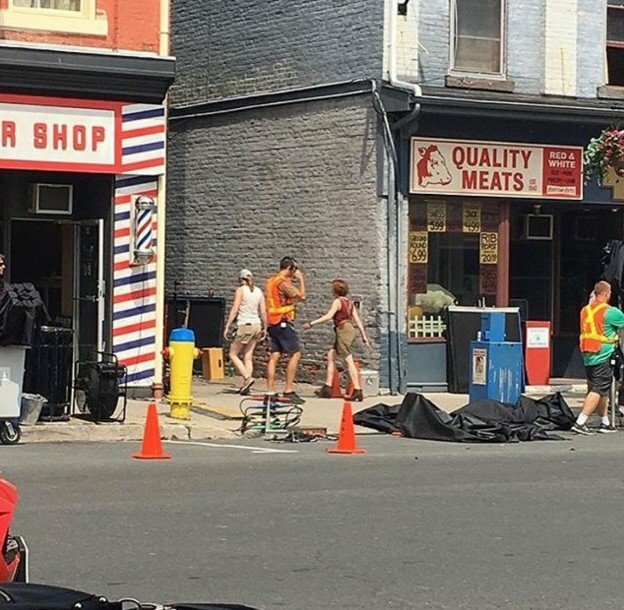 Look for It: Chapter Two to be summoned into theaters in time for September 6th, 2019.